Banner, T. F. (2016). An Examination of the Lived Experiences of United States Military Veterans who have been Diagnosed with Psychological Inflictions of War who have Utilized Equine Assisted Therapy (Doctoral House, M. (2016). Animal assisted therapy: a look at the benefits of integrating therapy dogs into the treatment of adult women suffering from sexual assault related PTSD (Doctoral dissertation, California State University, Northridge). Burns, K. (2016). Veterinarians’ Perceptions of and Experiences with Dog Walking (Doctoral dissertation). Burton, L. (2016). Okanagan dog visitation’s impact on seniors’ social support: comparing group and individual conditions (Doctoral dissertation, University of British Columbia). Caines, M. (2016). Street Involved Youth and Companion Animals: A Phenomenological Study (Doctoral dissertation, Mount Saint Vincent University). Cavallaro, L. (2016). Employee Wellbeing and Compassion Fatigue among Animal Caregivers: A Hermeneutic Phenomenological Study (Doctoral dissertation, THE GEORGE WASHINGTON UNIVERSITY). Douglas, A. M. (2016). Does Animal Assisted Activity have an Effect on Anxiety Levels among Children with Chronic Illness? A Correlation Study (Doctoral dissertation, THE CHICAGO SCHOOL OF PROFESSIONAL PSYCHOLOGY). George, K. A. (2016). Human-Animal Relationships: Exploring human concern for animals (Doctoral dissertation, The Ohio State University). Grant, J. (2016). Be a vegan or just dress like one: animal liberation in popular feminist media (Doctoral dissertation, University of British Columbia). Griffith, R. M. (2016). Paws Your Stress: Student Perspectives of An Animal Assisted Activity Program (Doctoral dissertation, University of Saskatchewan Saskatoon). Launer, S. C. (2016). Client-Centered Effects of an Animal-Assisted Intervention in Interviewing (Doctoral dissertation, THE CHICAGO SCHOOL OF PROFESSIONAL PSYCHOLOGY). Lawson, C. A. (2016). Equine-assisted psychotherapy in New Zealand: a phenomenological investigation: presented in fulfilment of the requirements for the degree of Masters of Arts in Psychology at Massey University, Albany Campus, New Zealand (Doctoral dissertation, Massey University). Loeffler, M. (2016). Attachment Theory and an Equine Prison-Based Animal Program: A Case Study (Doctoral dissertation, SAINT MARY’S COLLEGE OF CALIFORNIA). Luley, K. N. (2016). Emotional and behavioral sequelae of child sexual abuse and the comparison of treatment outcomes with caregiver intervention or animal-assisted therapy (Doctoral dissertation). Lutzky-Cohen, N. (2016). Motivation to use animal assisted therapy among psychotherapy and counselling graduate students (Doctoral dissertation, UNIVERSITY OF TORONTO (CANADA)). Mehrabi, T. (2016). Making Death Matter: A Feminist Technoscience Study of Alzheimer’s Sciences in the Laboratory (Doctoral dissertation, Linköping University Electronic Press). Odeck, D. I. (2016). Assessing The Role Of Oloisukut Community Conservancy In The Management Of Wildlife Resources In Narok County, Kenya (Doctoral dissertation, University of Nairobi). Owen, J. (2016). 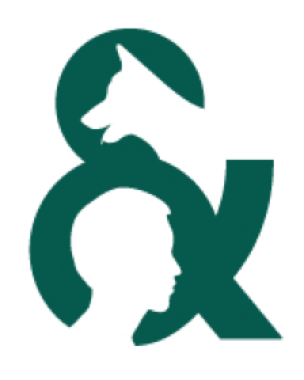 Silent supporters: understanding clients’ lived experiences of animal-assisted therapy in counselling (Doctoral dissertation, University of British Columbia). Parker, A. D. (2016). “Safe” Spaces? Vegan ideologies and farm animal sanctuaries (Doctoral dissertation, Concordia University). Pfeffer, A. (2016). Combining Inner Martial Arts and Equine-Assisted Learning to Enhance Self-Esteem in Adolescent Girls: An Event-Driven Case Study (Doctoral dissertation, Prescott College). Rother, C. (2016). The Human Animal (Doctoral dissertation, Dalarna University). Scott, S. K. (2016). Walking the Dog When Talking is Too Much: Mental Health Workers’ Implementation of Animal Assisted Interventions with Adult Survivors of Potentially Traumatic Events (Doctoral dissertation, FORDHAM UNIVERSITY). Sillaby, B. (2016). Governing Dogs: An Autoethnographic Tale of Redefining’Service Dog’in Canada (Doctoral dissertation). Silvestrini, N. (2016). It’s a dog’s life: Contemplating the human-animal relationship through dog adoption narratives in the United States (Doctoral dissertation, University of Oregon). Struik, K. R. (2016). Child-canine bonding in children with ASD: findings within and across case studies (Doctoral dissertation, University of British Columbia). Volkmann, S. B. (2016). Exploring bereaved older adult pet owner’s relationship and grief experiences following the death of a companion animal (Doctoral dissertation, The University of Texas at San Antonio). Wen, T. (2016). A content analysis of guilt appeals in animal welfare campaigns (Doctoral dissertation, Iowa State University).